We strongly suggest investing in a monitored home security system, but if you’re on a tight budget, or not ready to commit to a whole system, motion sensor lights and cameras are a great initial investment. Motion sensors can help deter intruders and would-be burglars, but they’re also practical for everyday situations. With motion sensor lights, you can come home after dark without tripping over your four-year old’s expertly placed tricycle, slipping on an icy walkway that you thought was dry, or hunting through your purse in the pitch-black night to find your keys. 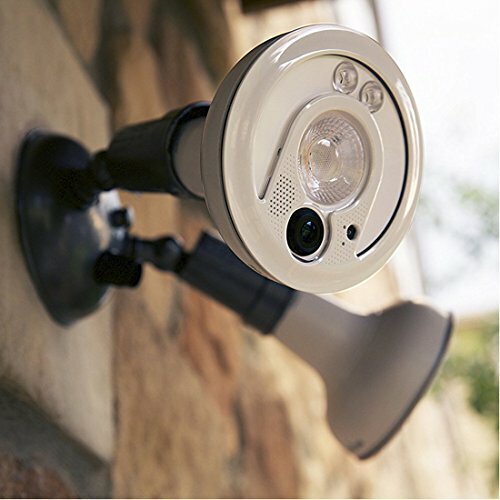 An outdoor motion sensor camera can deter intruders or capture footage if someone follows through with a burglary attempt. They can also help discourage package theft if you have things delivered to your front porch. Indoor motion-sensing cameras can alert you when your kids get home from school or help you check in on your pets while you’re away from home. Plus, if something does go wrong and a burglar enters your home, you’ll have footage to hand over to police. Keep reading to learn more about the best motion sensors for protecting your home both inside and out. 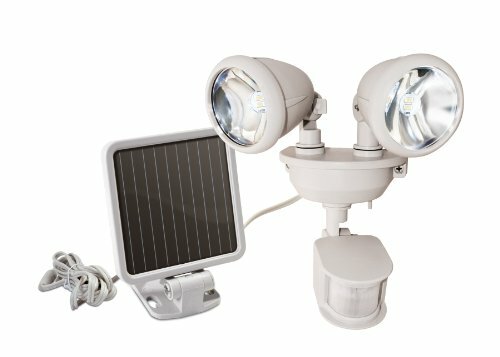 There are many motion detector lights and cameras on the market, but if you don’t want to install separate devices, you might like an all-in-one floodlight camera. Ring kicked things off with a video doorbell but recently expanded its offerings to include lots of other home security equipment. 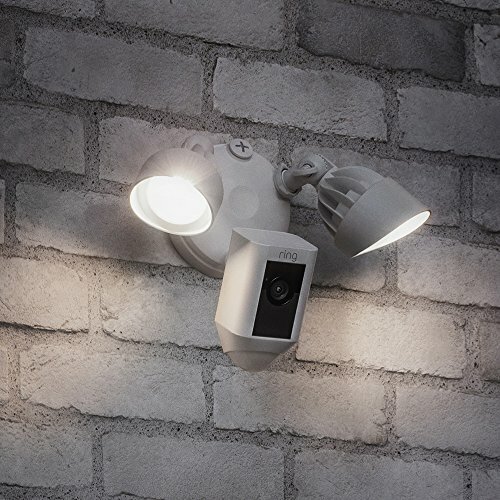 One new addition is the motion-activated HD floodlight camera. This feature-loaded camera earned the top spot because it is quite a bit more advanced than similar products on the market. For example, the lights are 1,500 lumens each as opposed to a normal 60 watt incandescent bulb which is about 800 lumens. That means plenty of visibility when someone approaches your home. The Ring also comes with two-way audio and the ability to zoom in on a specific area or pan the camera for a wider view of the area. Plus, you can control all these advanced features from your smartphone or tablet. The Snap has fewer features and is less technologically advanced than the Ring floodlight, but it is a good alternative if you want something that is extremely easy to install. You don’t need to wire it or plug it in—it just screws into an existing socket. It’s also less expensive than the Ring floodlight and still comes with mobile control and customizable motion zones. Outdoor motion sensor lights make it easier for family members to come home safely when it is dark, and they make it harder for would-be intruders to find hiding-places on your property. You’ll find our top picks below, but if you want more in-depth coverage of motion sensor lights, check out our post about the best security lights. The RAB Super Stealth is in first place because it is equipped with serious security features. The lights can stay on for up to 12 minutes when activated, the motion sensors cover more range than the competition, and it can support powerful, bright lightbulbs. The Super Stealth also has adjustable sensitivity controls and an adjustable timer so you can tailor it to your specific needs. The MAXSA motion sensor floodlight isn’t as bright or as powerful as the RAB Super Stealth, which is why it earned second place. However, it is solar powered—which is a cool feature you can’t get with our first-place choice. The MAXSA also usually costs less on Amazon than the Super Stealth. 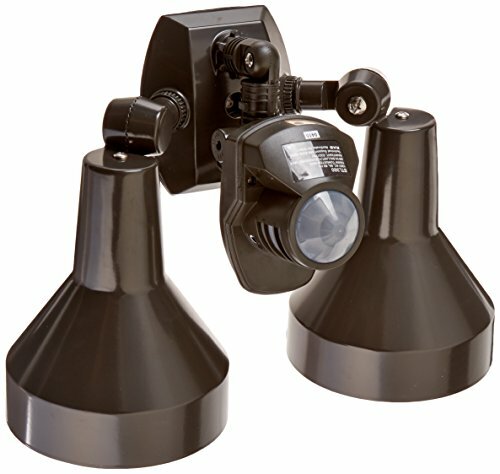 If you already have motion-sensing floodlights, you probably don’t need one of the floodlight/camera combos mentioned above. However, You should still invest in an outdoor security camera. There are tons of security cameras available—we’re just covering standalone outdoor ones here. If you want to dig into all your security camera options, check out our best security cameras post. Although this camera doesn’t come with quite as many features as the Ring Floodlight Cam, it still has a lot to offer. 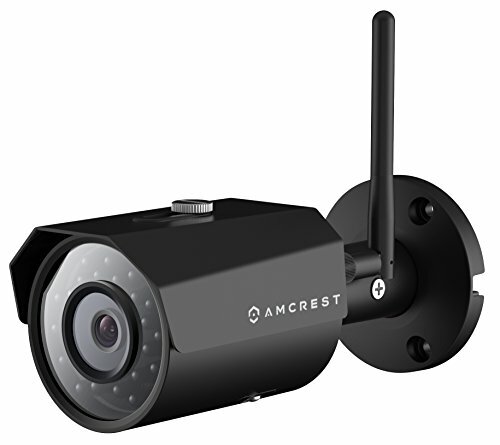 It’s our top choice because it offers serious security features, great storage options and a higher resolution than other cameras (1296p instead of 1080p). It’s also more affordable than our second-place pick. We had a tough time deciding whether or not the Canary Flex should take first or second place. Ultimately, it is in second because while it has tons of great features, it costs about $50 more than our first place pick. The most impressive thing about the Canary is its versatility. It can be used inside or outside, works with wired power or with batteries, and comes with a 360-degree magnetic swivel base so you can place it however you want. Ideally, an outdoor camera will help deter potential intruders, but an indoor camera with a motion sensor is still a great tool for keeping an eye on your kids, pets, and home while you’re away. And if someone does make it past the outdoor cameras and into your house, an indoor camera can alert you quickly and provide you with footage that could be handed over to authorities if necessary. The main reason the Nest Cam took the top spot is that you can pair it with lots of other convenient home automation and security devices. It’s a solid option for almost anyone since you can use it if you already have lots of home automation devices, if you’re just getting into home automation, or if you just need a camera and don’t care about smart home devices at all. A few of our favorite things about this camera are the sound-triggered alerts, versatile setup options, and continuous video recording. 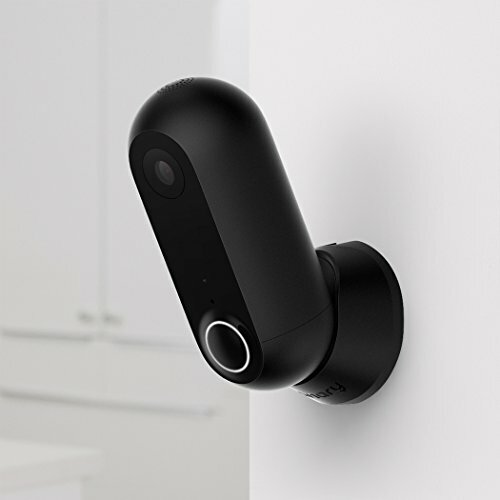 If you want more than just a motion sensor camera, consider Canary. It stands out by offering environmental sensors (temperature, humidity, and air quality). These sensors could be particularly useful if you have family members with asthma or allergies. 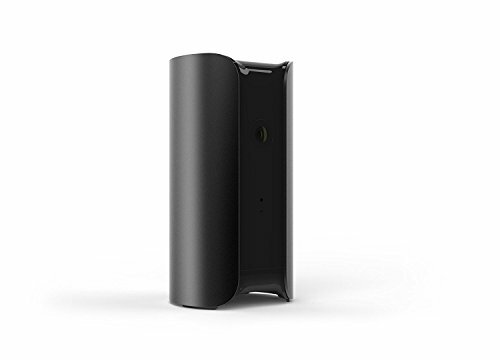 In addition to the extra environmental sensors, the Canary comes with all the features you’d expect from an indoor motion sensor camera. 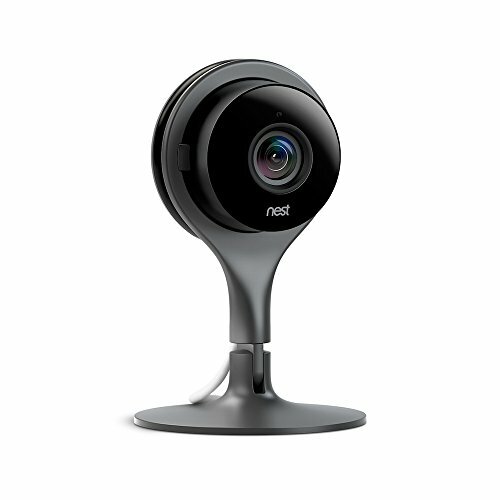 Plus—it is less expensive than the Nest Cam and has a slightly wider lens. Motion sensor lights and cameras can help you improve your home security, but in most cases, we suggest investing in a full security system that comes with not only motion sensor lights and cameras but also professional monitoring. That way, if someone sets off a motion sensor, professionals will be alerted even if you’re unavailable. Be sure to learn about how motion detectors work, and get even more educated about the technology designed to protect you.